Lavender Oil Poisoning is the accidental or intentional intake (swallowing) of the compound. What is Lavender Oil Poisoning? Lavender Oil Poisoning may be also referred to as Lavender Oil Toxicity. What are the Causes of Lavender Oil Poisoning? What are the Signs and Symptoms of Lavender Oil Poisoning? The signs and symptoms of Lavender Oil Poisoning can vary from one individual to another. It may be mild in some and severe in others. Several systems of the body, such as the digestive system, nervous system, skin, and ENT may be affected. How is First Aid administered for Lavender Oil Poisoning? Who should administer First Aid for Lavender Oil Poisoning? 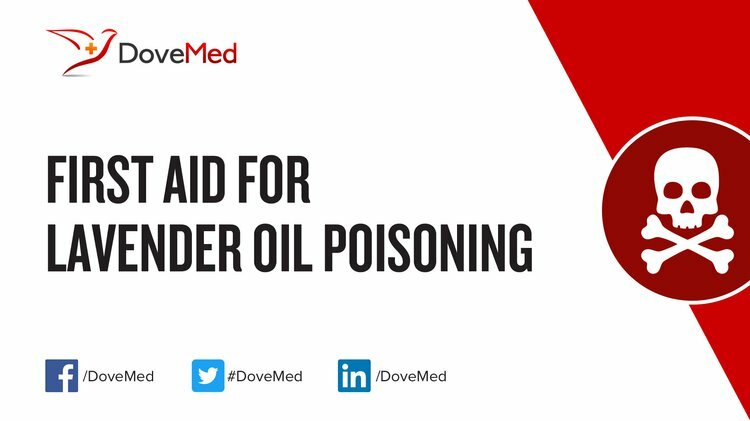 First aid for Lavender Oil Poisoning is administered by healthcare professionals. What is the Prognosis of Lavender Oil Poisoning? How can Lavender Oil Poisoning be Prevented? Çetinkaya, B., & Başbakkal, Z. (2012). The effectiveness of aromatherapy massage using lavender oil as a treatment for infantile colic. International journal of nursing practice, 18(2), 164-169. Alkazemi, W. M. (2011). U.S. Patent No. 7,879,343. Washington, DC: U.S. Patent and Trademark Office. Davis, P. (2011). Aromatherapy An AZ: The most comprehensive guide to aromatherapy ever published. Random House. Dye, J. (2013). First Steps in Aromatherapy. Random House. Smith, R. L., Christensen, J. M., Langley, W. S., Smith, V. W., & Chipman, B. (2015). U.S. Patent No. RE45,335. Washington, DC: U.S. Patent and Trademark Office. Orr, K. K., Larcom, E. A., & Hume, A. L. (2014). Lavender aromatherapy as sleep aid. Pharmacy Today, 20(5), 34.